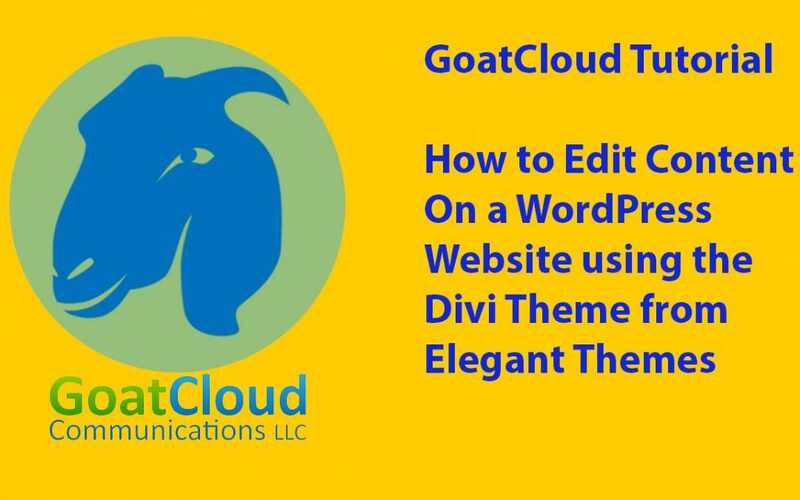 We recently posted a tutorial on how to use Elegant Themes’ Divi Builder/Theme to modify text content on a WordPress website. The Divi Builder, used on this site, is an incredibly flexible piece of software. Less of a theme than a design platform, it sits on top of WordPress so it does add an extra layer of complexity to putting a website together. That said, in our view its ease of use, flexibility, and function make the trade off well worth it. We use the Divi theme on most sites we build. For the record, while we are lifetime members of Elegant Theme’s services, we have received no benefit from that company for posting this positive assessment of Divi. So sit back and enjoy the tutorial. We hope you find it of use.